Windows 2000, XP, VISTA and Windows 7 compatible. 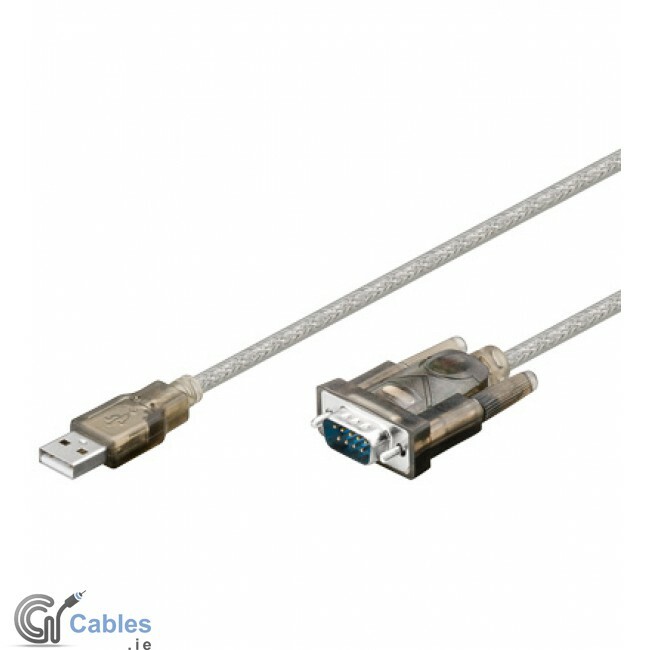 This USB to Serial cable provides a simple and easy way to connect Universal Serial Bus (USB) and Serial port interfaces. With the advantage of USB port, users have the capability to utilize the peripheral with serial port interface in an easy to use environment such as plug and play and to hot swap functionality. This adapter is designed for ideal connections to Mobile phones, digital cameras, modems or ISDM terminal adapter and so on. Want to connect your GPS to your PC but don't have a 9-pin serial port connection? This cable will get you hooked. Using this converter cable and the PC interface cable for your unit, you can transfer maps, way points, routes and tracks between MapSource and your GPS. USB to RS232 converter cable your computer shows it like a standard COM port! - Works with Garmin GPS units, etc. - Provides one RS-232 male DB9 port for direct connection to a PDA cradle or synchronization cable. - USB Driver CD-ROM for WIN98/ME/2K and XP, Vista (32-Bit) and Windows 7. PL-2303 chipset made by prolific. Latest software driver updates can be found on www.prolific.com.tw (login in with guest/guest).